Colourplus is your one stop decorating shop. We now number 22 stores nationwide. Our products are top quality and represent great value. Our range is comprehensive. Whether you're after paint, wallpaper or curtains, Colourplus have a stylish and practical solution for you. Colourplus stocks a wide selection of brands. 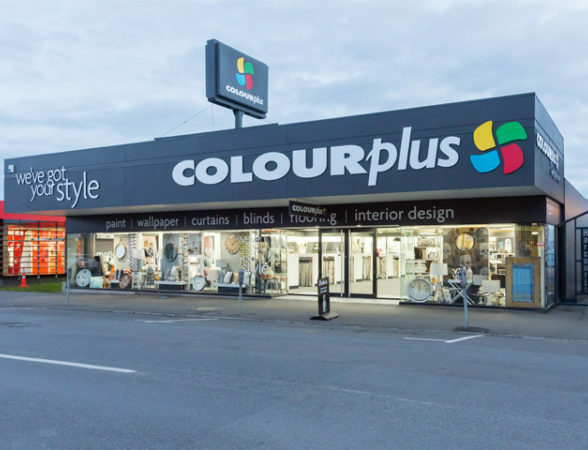 These include our own range of paints, solid vinyl wall coverings and accessories that reflect colours and tones specific to New Zealand, as well as a selection of leading national brands. Call into Colourplus to our view exclusive range of paint, wallpaper, curtains and blinds.